Indian American Amishi Patel, 43, a part-time dentist at Campus Heights Dental Care in Daly City, California, was sentenced to 20 months in jail and eight years of probation after she plead no contest in December to charges of performing unnecessary work on at least eight patients between April 2014 and May 2014 as well as stole someone’s identity to seek other dental jobs, according to a Patch.com report. Patel had recommended that then-16-year-old girl receive 16 fillings and she had already done eight before the girl’s father became suspicious and took her to three other dentists for second opinions where all agreed that the girl didn’t need any fillings as she had no signs of cavities. The dentists also said that the eight fillings from Patel were performed so poorly that they needed to be replaced, according to San Mateo County District Attorney Steve Wagstaffe. The case came to the district attorney’s office from the state Department of Insurance, which had been contacted by the Dental Board of California who received the initial complaint. 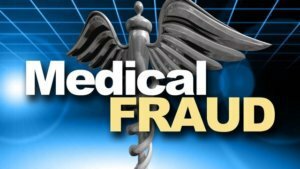 Patel was then charged in February 2017 and ordered not to practice dentistry but investigators learned that she had altered the order to gain temporary employment at a dentist’s office in Fremont, California where she treated four patients. Patel had also used the license number from another dentist in the area to apply for several dentist jobs in Fremont. A restitution hearing in the case has been set for June 22.